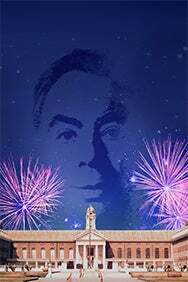 We do not curently have theatre tickets available for A Musical Celebration of Andrew Lloyd Webber This could be because we have simply sold out or it could be that this show is no longer running. The information on this page remains purely for historical and informational purposes. Andrew Lloyd Webber is the most successful composer of musicals in history and professional productions of his shows have sold more than 33o million tickets worldwide. When Sunset Boulevard joined School of Rock, Cats and The Phantom of the Opera on Broadway last year, Andrew Lloyd Webber became the only person to equal the record set in 1953 by Rodgers and Hammerstein with four Broadway shows running concurrently. A Musical Celebration, which takes place at the Royal Hospital Chelsea on Sunday 17th June as part of the ongoing celebrations for his 70th birthday this year. Announced Alfie Boe, Beverley Knight, Madalena Alberto, Jodie Prenger, Michael Xavier, Ben Lewis, Raphael Bellamy Plaice and Meghan Picerno will be joining the line-up which already includes Tyrone Huntley (Olivier Award winner, Jesus Christ Superstar 2017), Imelda May, Mica Paris, Ben Forster (Winner of ITV’s ‘Superstar’ talent search) and Joe McElderry with the current West End cast of School of Rock  The Musical and the former cast of The Phantom of the Opera performing. It is also announced that Myleene Klass will be acting as compere for the event. Culminating in an extravagant firework display, this night of unique performances of Lloyd Webber’s work by recording artists and stars of the West End, will be accompanied by The Royal Philharmonic Concert Orchestra. Songs will be performed from Andrew’s famous repertoire including Cats, Aspects of Love, Joseph and the Amazing Technicolor Dreamcoat, Jesus Christ Superstar, Evita, Starlight Express and Love Never Dies.